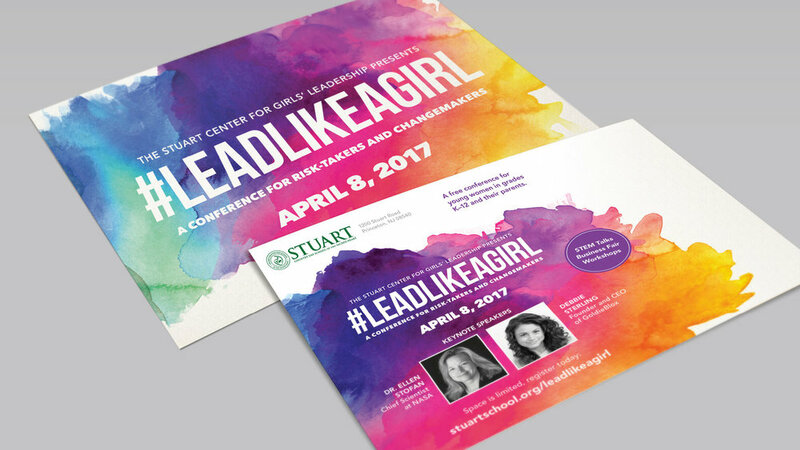 #LEADLIKEAGIRL is a conference at Stuart Country Day School in Princeton, NJ designed to empower young women leaders in the areas of STEM and finance. With powerful, eye-catching design and tactical marketing, the conference drew hundreds of young women and educators from around the country and beyond. The paint splash became an iconic element that made a big impact in direct-mail, environmental signage, event signs, t-shirts, and digital experiences including a microsite and conference mobile app.